The UK Blu-ray launch of John Carpenter's latest movie has been delayed and it is all down to Home Cinema Choice magazine. Anton van Beek, news editor of HCC – which is part of the TechRadar network – was the person who spotted that the aspect ratio of the Blu-ray review version of The Ward was framed at 1.78:1 but as any Carpenter fan knows, he favours the 2.35:1 ratio. 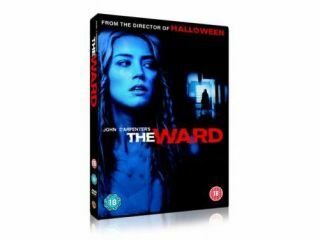 Being the concerned AV nuts they are, Home Cinema Choice contacted Warner Bros about the problem and they received confirmation this week that Warner Home Video has decided to delay the launch of The Ward until 10 October – some five months after its original release date of 10 May. According to WHV: "The current Blu-ray and DVD configurations of The Ward are not in the preferred aspect ratio of Warner Home Video UK." If they were to release the Blu-ray in its current form, then it would have been marred by framing issued and awkward shots, so it's good the folks at HCC spotted it.